Get ready for the glitz and the glam of old' Hollywood! Travel back to the golden era of cinema with our Fame and Fortune slot machine game! Fame and Fortune features 5 reels and 20 lines for players to bet on. You can wager as little as one cent or as much as one hundred dollars. Be sure to keep an eye out for the famous wild card symbol the Diamond and that reclusive scatter symbol the Glamour Girl. Remember, in slots as in the movies generally the more lines you have the better. Ready for your close-up? Why not make it Big? Play Fame and Fortune Now! In the Fame and Fortune real series video slot the vivacious background and animated characters will take you by surprise because they are so obviously different from the regular slot fare. All the icons in the game; ancient car, trophy, diamond and the glamour girl can actually spin you into a world of splendid rewards. These Hollywood icons depict the classy attributes of the game and the five icons of Hollywood-logo combined with the image of the glamour girl will take you to the highest reward of 50,000 times. In the Fame and Fortune online slots, both the icons of wild and scatter have special attributes. The glamour girl is the wild symbol in the game. You would surely feel attracted to this damsel, when she reveals herself on the second, third and fourth reels to get you winning combos plus 'doubled' rewards. There are three scatter symbols in the game, including the diamond, the Fame and the Fortune icons. The diamond symbol becomes active only under the free spin feature. The Fame and Fortune logos will emerge regularly through the game on the first and the fifth reel respectively. To get your share of the fortune you need to play wisely. The image of diamond reveals itself only in the free spin bonus round. So just concentrate on the Fame and Fortune logos to get your rewards multiplied. The Fame and Fortune logos also help you trigger the free spin feature with the 10 free games. If you are keen on learning more useful tricks to enhance your odds of winning in the game, try your hand at the free casino game of the Fame and Fortune online slot. Playing the free slots version of Fame and Fortune online slot will give you a practical view of how the features work. Payline: The term payline is used to denote the amount of lines across the screen on a slot machine. Free Spins: Free spins are the free games that can be won by satiating certain preset requirements. 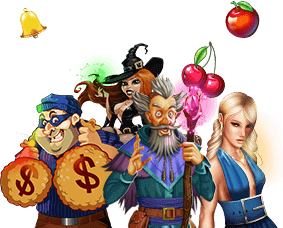 Will symbol: In the Fame and Fortune online slots, the Glamour Girl is the wild symbol who reveals herself on the second, third and fourth reels to replace all the other icons in the game and help you create rewarding combos. Scatter symbol: There are three scatter symbols in the game of Fame and Fortune online slots. One scatter symbol is the image of the diamond that emerges on the second, third, fourth or fifth reel to get you a multiplier of 2, 5, 20 or 100 on your total stake. The Fame and Fortune logos are two other scatter symbols in the Fame and Fortune online slot.